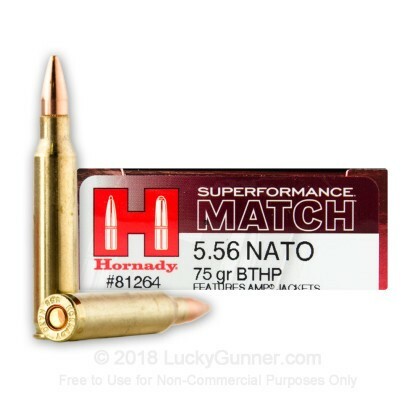 Hornady's Superformance Match 5.56x45mm ammo achieves muzzle velocities of 100-200 fps faster than comparable lines of ammunition due to its custom blended powder. 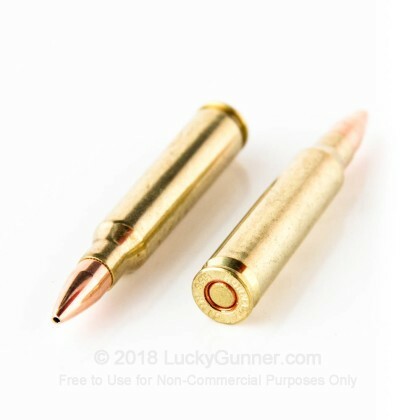 The propellants are specially designed to produce higher pressures further down the barrel helping to achieve the higher muzzle velocities and flatter trajectories. Additionally, Superformance powders are very stable in response to temperatures swings ensuring that you'll be spot on whether there's an icy chill in the air or if it's blistering hot outside. 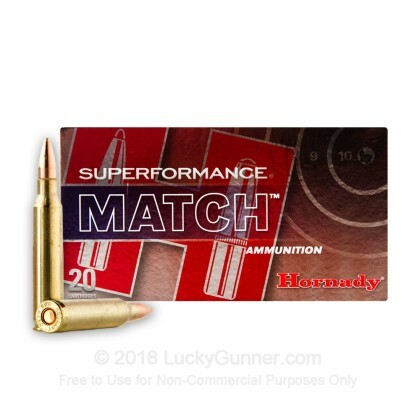 Hornady's match grade ammo is extremely accurate making it a perfect choice for your next competition. 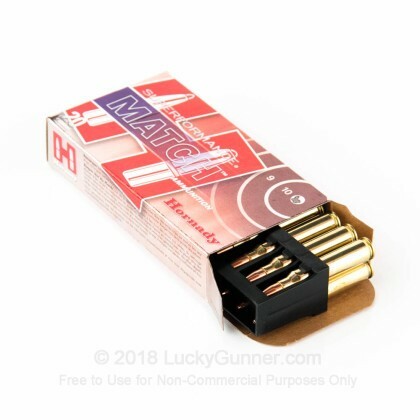 We don't have any reviews yet for this particular 5.56x45mm ammo from Hornady. 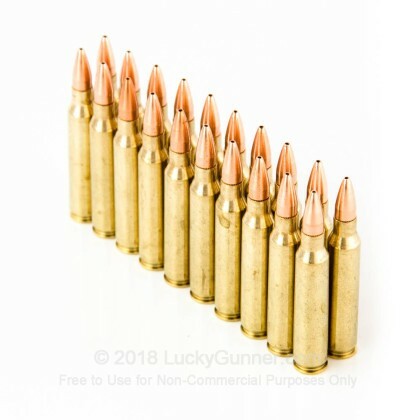 If you'd like to be the first to review this particular 5.56x45mm ammo from Hornady, fill out the form below. 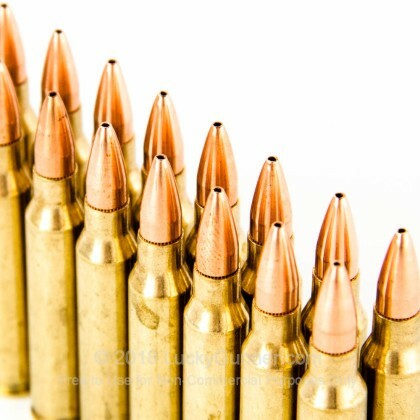 We also have this 5.56x45 - 75 Grain HPBT - Hornady Superformance Match- 20 Rounds ammo in stock in a smaller quantity.